An interactive classic by the author of The Very Hungry Caterpillar. Just as bright and just as beautiful! A very busy spider is spinning a web on the farmyard fence. Trace the textured shape of her web with your finger as you read her story. While the spider works, some merry farm animals ask her to play. (Which gives you a chance to make lots of animal noises.) But the spider is too much too busy to play. What is she making? Can you guess? 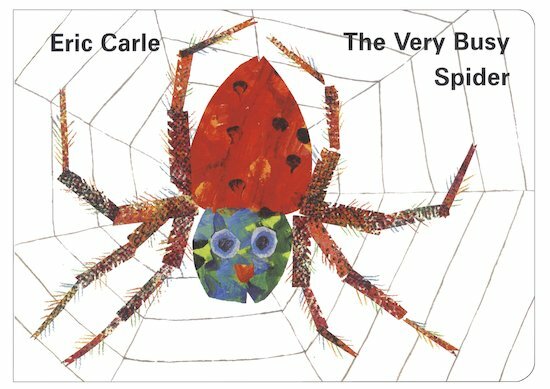 Me and my son love this book he can touch the web and look at the pictures while i can read and make animal noises. this book has great illustrations.